This is a re-post of one written for – Trifextra Challenge. Baron planted a turkey-bean which grew fast and actually coiled around one of the moon’s horns. He ascended (sans boots) but could not descend the withering bean. Finally he came back with Neil Armstrong. describe summer in your own words. « Cee’s Fun Foto Challenge: Alone! I’m glad there was some extra room on the space craft! Fun 33 words, AC! Ha.. that was fun.. I truly enjoyed the Munchausen stories as a kid.. but he became hero by proxy I guess after travelling home with Neil’s ship. Hehe. Well, it’s widely understood that Armstrong’s true mission was a rescue. Much fun with this one. So, it was one giant bean, not one giant leap… hahaha Good one, Aesop! Lovely, I knew the space race was about something more than just reaching the moon! That’s the real secret about the moon landing. Good one! Very funny. Wish you a Merry Christmas and happy holidays. Thanks .No vacation same like me. Everyday is a holiday and a working day too. What a lot of story packed into just a few words. Innovative. Loved it. 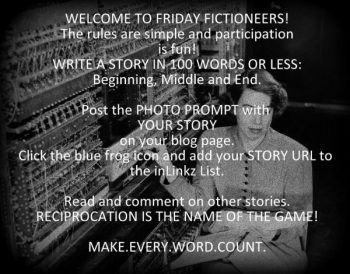 Good take on the prompt – highly entertaining! So THAT’S why the boots are unused. Indeed. As they belong to a fictional character the forensics could not find any evidence of their usage. Thank goodness he got a ride home! Nicely done! This made me laugh out loud. Wonderful. Happy it raised a laugh. Thank you so much.